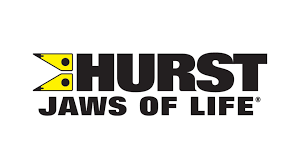 SHELBY, N.C. — HURST Jaws of Life® has new talent leading its Shelby, North Carolina-headquartered business and operations as Ellie Mulcahy joins the industry-leading global manufacturer of rescue tools as general manager. The new post allows former GM Chris Jaques to focus on his growing duties as president of HURST’s parent group, IDEX Rescue, a role he has held in conjunction with his GM duties for two years. Mulcahy has worked in the steel and related manufacturing industries for nearly 25 years. She began her career as a quality engineer for United States Steel Corporation and held positions in quality management and sales for nearly 10 years. Mulcahy has focused on the automotive category for most of her career, from making steel for car parts to cutting steel to be formed into shapes for cars. That experience gives her a unique perspective as she steps in to manage the manufacture of rescue tools carefully designed to allow first responders to cut, bend and lift the advanced high strength steels of vehicles. Mulcahy also brings experience in customer service and general management from eight years with SET Enterprises, which provides metal processing services to the automotive industry. Additionally, she worked with steel manufacturer EVRAZ North America, overseeing operational excellence initiatives. Mulcahy comes to HURST Jaws of Life from sister brand GAST, where she most recently served as vice president of the rotary business line. “Our goal at HURST Jaws of Life is to work with firefighters and first responders to understand what they need today, and then build those tools so they’re also strong enough for tomorrow,” Mulcahy said.